How do groups get anything done? 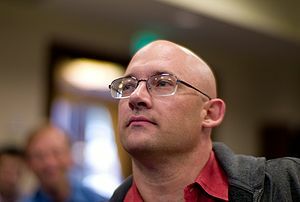 Clay Shirky outlines a framework for crowdsourcing in this TED Talk. This is explaining the how we can think differently about addressing the problems that come from coordinating work. During the time I am running in the 10 City Bridge Run (10 runs of 24 km in 10 cities across 10 countries inside of one month) the real work is the collection of 24,000 photographs of human bridges. 24,000 is reflective of the number of children under the age of five who die daily. It needs to be at no cost. Anyone can contribute from any country, any culture, any language. The photographs need to have integrity as a group for use as a pictorial petition to present to the leaders of all G20 members once they have been collected and curated. The photographs will subsequently be collated into a book with a working title of “Above the Line” as a educational tool of what might be possible for us as individual’s collectively to do to influence extreme poverty. At first, it sounds simple enough to just dismiss this problem as “Use Flickr”. I think that Flickr will be the best platform, but how is that best achieved with the right tagging so that these photographs are not confused with others (with similar matching works in their tag). This is not just some abstract musings. It is a real problem. And I am asking for your help. Help me to design or engineer this so that together we can make a difference. This entry was posted in Clay Shirky, Crowdsourcing, TED and tagged Clay Shirky, Crowdsourcing, Flickr.